Stinging Nettles – The herbaceous and flavorful leaves of this plant are delicious and can be used in pesto, salad or even wilted gently for a warmed side dish. Although they are delicious the nettles primary defense are tiny hairlike thorns that will cause hive like stings and severe skin irritation. Be very careful if gathering these and definitely wear long sleeves and gloves. Fiddle Heads – Uniquely flavored and reminiscent of string beans or asparagus. There is a definite earthy flavor and and sometimes a gentle bitterness. Fiddle heads are most commonly sautéed or roasted and usually served warm, although they are lovely chilled in a salad. Gathering these is somewhat safe compared to nettles since ferns have no thorns. Only the very tops or curls are tender enough to eat much like asparagus. Ramps – Found mostly in spring, these tender wild leeks are usable in many applications. Although small in size, they are very pungent in flavor and smell and a little will go a long way. Ramps can be found in sandy soil and easily pulled out by firmly grabbing them at the base and pulling them gently out. Dandelion Greens – Although wild-picked dandelion greens can be a little on the bitter side at times they are really good for you. They can be eaten as salad greens or included in wilted greens for a warm dish. Dandelion greens are easily foraged from around the base of the dandelion but should always be washed well, even if store bought. Sorrel – This leafy green is commonly puréed into soups, sauces and pesto. It is also tender enough to use in salads or wilted. Sorrel is similar to spinach in many ways and can also be referred to as spinach dock as well. It is fairly easy to pick sorrel as it has no thorns and can be plucked from the ground with little effort. Sea Bean – Also known as salicornia, these succulent green tendrils are slightly salty and have a grassy flavor. They are nice and crunchy which makes for a great addition to any salad. Sea beans are found near coastal waterways and are not seaweed. They can be picked with ease and eaten raw or sautéed lightly. Miner’s Lettuce – The large bright green leaves are crunchy and mild in flavor. Miner’s lettuce grows in great abundance and is very easy to pick. Is is one of the more well known wild edibles and will often be introduced into salad mixes. 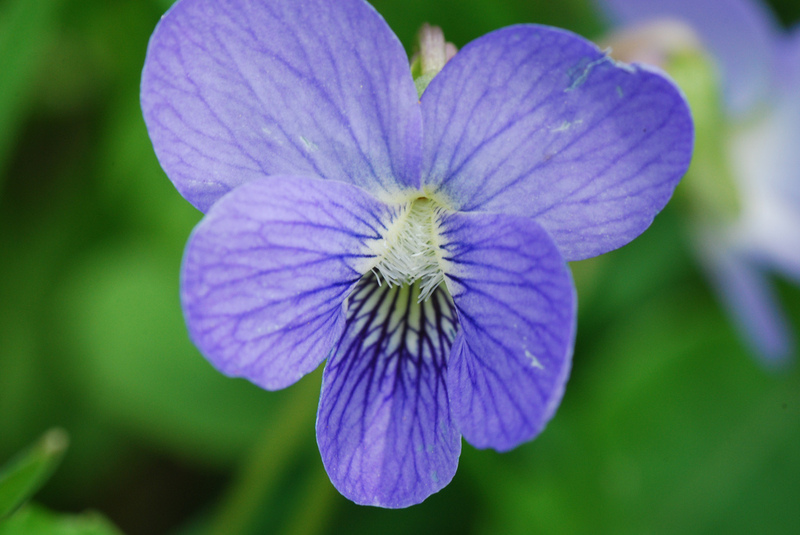 Wood Violet – Found in marshes and wetlands wood violets grow in dense patches and can be picked whole. The leaves are slightly spicy and the flowers are sweet with a floral flavor. These are great in salads, as garnish or even lightly tempura fried. Check out some of these wild events currently listed through Brown Paper Tickets! Sunday, January 26th | Kirk Lombard’s Sea Forager Tour – San Francisco, California Get fishy with former PSMFC fisheries observer, writer, raconteur, tubist, harp blower, monkeyface eel champion, blogger, street performer and fish monger Kirk Lombard on an inter-tidal, low tide walking tour along San Francisco’s bayfront shoreline. Thursday, January 30th | Mega Low Tide Mussel/Clam Extravaganza – Halfmoon Bay, California Learn the basics of intertidal hunting and gathering in this one-of-a-kind, totally awesome walking tour at Pillar Point (27 minutes south of SF by car). Learn how to read the holes in the mudflats for different types of delicious invertebrates. How to dig the monstrous “horseneck” clam from the mud, the ins and outs of snail picking, limpet gathering and mussel foraging. When is the safest time to eat mussels? When is it not? Okie noodling for rock crabs in the surge channels. Ouch! How to poke pole for the flavorful and abundant Monkeyface Eel, what are the best local kelps and how are they prepared? Learn all this and more on a remarkable, one-of-a-kind walking tour with eel master, fisherman and former DFG fisheries observer Kirk Lombard. Thursday, February 13th | Edible Landscapes for the Homeowner – Redmond, Washington Would you like to grow your own food but think it’s too much work or takes too much time? Join award- winning landscape designer Jessi Bloom and learn how to employ design strategies from nature, so you can grow easy-peasy edibles that are low maintenance, resilient and sustainable. Plant once and enjoy the harvest from your edible landscape for years. Jessi will cover basic food forest design and show her favorite low maintenance edibles for the Pacific Northwest. This class is guaranteed fun!